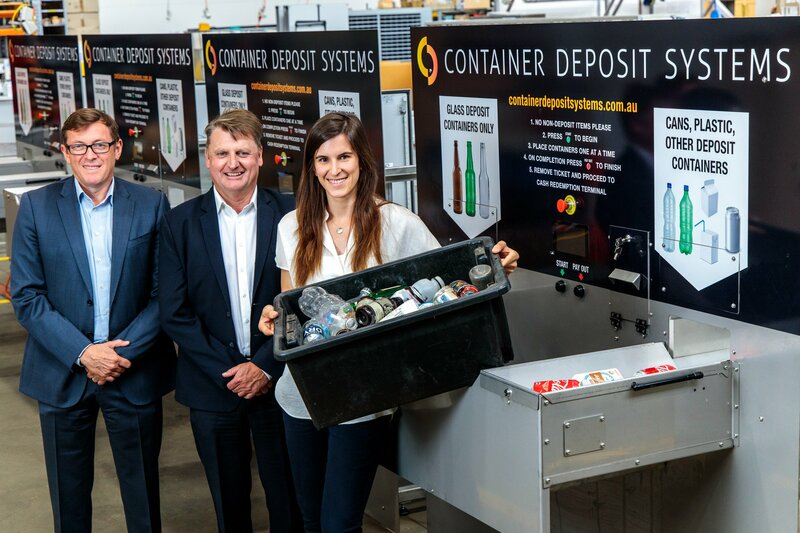 Four-year-old SA company Container Deposit Systems (CDS) has seen more than 32,000 containers per day sorted through Semi Auto Return Terminals (ART) in its first week of operations with private Queensland recyclers. Since then the number has risen to 80,000 containers processed per day across five sites. More ARTs are being manufactured at Adelaide-based SAGE Automation (who developed the technology solution) right now. The terminals allow Queenslanders to return any deposit cans, plastic bottles and glass, in any condition, for a 10c-per-container refund, dispensing cash through a separate ATM-style machine. CDS executive chairman Brett Duncanson expects to roll out more machines in NSW and Western Australia as demand continues to grow nationally. The company has spent up to $5 million in research and development raised entirely through private South Australian capital with intentions of keeping manufacturing and development in the state. CDS board member and SAGE Group Managing Director Andrew Downs, CDS Executive Chairman Brett Duncanson, and CDS Development Engineer Patricia Moreno load up an ART prior to shipping to the customer in Queensland. “There are two things we have achieved with this machine, one is for people to be able to return any deposit container in any condition and the other is to automate the cash payouts to customers and the overall depot cash management,’’ Mr Duncanson said. 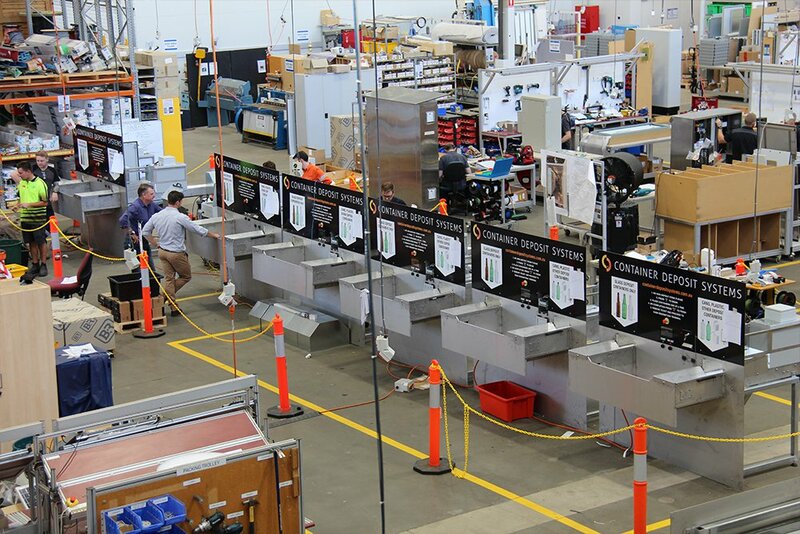 Bringing together Industrial Internet of Things (IIoT) technology and a vision counting and sorting system, the machines have been developed in partnership with the University of South Australia, SAGE Automation and digital transformation consultancy Nukon. Former UniSA masters student Patricia Marini is the company’s first full-time employee, dedicated to further R&D. Until now, technology alternatives to manual counting have been limited with a European-made reverse-vending machine only accepting and scanning containers with intact barcodes – and one at a time. Anything slightly damaged or with no label cannot be refunded. A larger pilot plant operating with the same technology in Adelaide, is expected to increase the rates of returns of recyclable containers, currently at between 82 and 85 per cent in the state since the scheme began in 1977. Other states have faced strong opposition from beverage companies, with the Northern Territory introducing its first scheme in 2012, NSW in 2017, and the ACT and Queensland this year. Victoria and Tasmania are yet to legislate for similar schemes. The solution has won a 2018 Packaging & Processing Innovation & Design Awards (PIDA) Design Innovation of the Year Award and Best Industrial IoT Application at the 2018 Endeavour Awards this year.